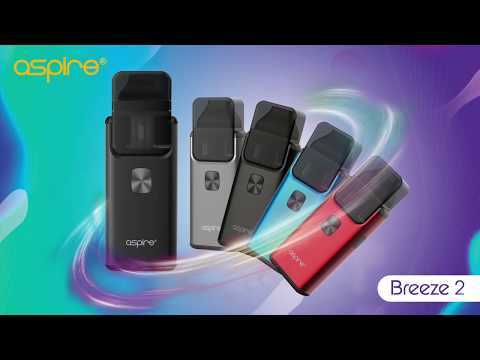 The ever popular all in one device from Aspire, the Breeze. has been redesigned with an improved filling method. Introducing the Breeze 2 now with new features and a new pod style system. The same compact and ergonomic design but a more convenient pod system that holds 2ml of e-juice, or a slightly larger 3ml version. It still has an ergonomic design and still comfortable to hold. We also retained the great U-tech coil technology ensuring you a flavorful vape. I look forward to your videos when Aspire releases new products. Keep making them. Thanks! Glad you like them, I will keep making them!